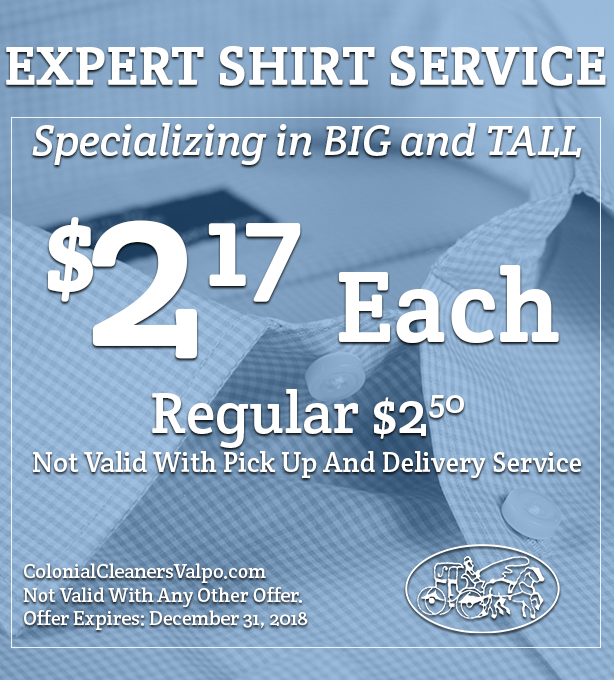 For great savings on your next dry cleaning or shirt service order, check out our money-saving coupons below. 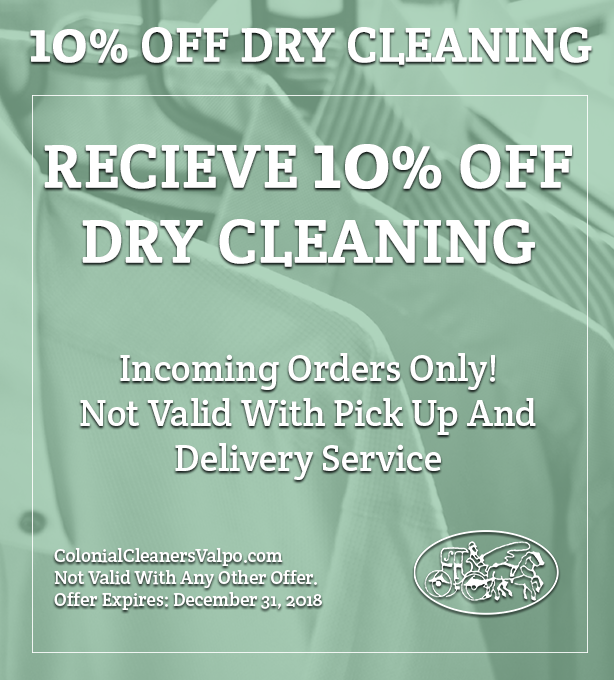 Our valuable shirt laundry and dry cleaning coupons will help you save on each and every order - and are valid at all our locations in Valparaiso, Lowell, and DeMotte, Indiana. We are certain you will find Colonial Cleaners to be the best dry cleaners, shirt laundry and laundromat around. For additional information on our services, click here or, stop by any of our Northwest Indiana locations.